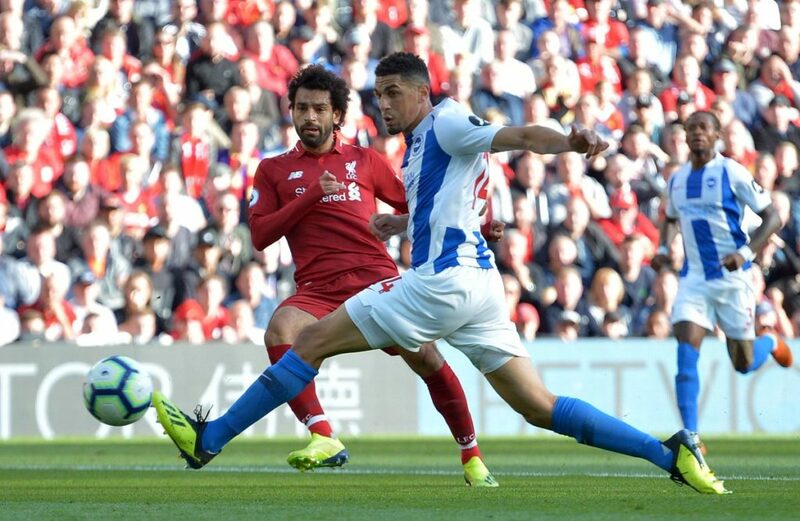 Liverpool only need a point from their final home game against Brighton and Hove Albion after Chelsea slipped up in midweek against Huddersfield Town. The Blues needed to win to draw level with the Reds, but could only manage a 1-1 draw which left Huddersfield fans in delight as the promoted Terriers secured their spot in the Premier League for another season. Town went ahead through Depoitre and although Marcos Alonso managed an equaliser for Chelsea, they couldn’t find another goal for the three points they so desperately needed. The result means that Chelsea are now two behind Liverpool with a game to play. Their last game is against Newcastle, who lost to Spurs in midweek, giving the Lilywhites third spot and a confirmed spot in the Champions League next season. Liverpool, it must be remembered, have NOT lost a league game at home this season! This entry was posted in News and tagged Brighton, Chelsea on May 9, 2018 by lzozo.